Seven people have been arrested or charged across East Sussex in connection with burglaries – including two from Eastbourne – as part of Operation Magpie. Officers said Abigail Cullen, 36, a furniture maker of Snowdon Close in Eastbourne, has also been charged in connection with a burglary in Wilmington on May 1. She will appear at Hastings Magistrates’ Court on May 30. Operation Magpie is Sussex Police’s summer burglary crime prevention and awareness campaign. 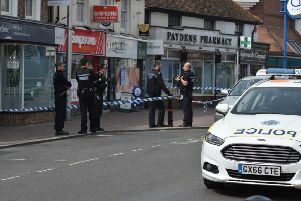 A Sussex Police spokesperson said, “During this week (May 20 to May 27) there will be operational activity where our Prevention Enforcement Teams from across the county will concentrate their efforts on searching for people who are wanted on warrant and for those who are named as suspects. “We’ll also be sharing, on our social media stories, from real people who have experienced burglary together with the consequences. Their stories reflect the emotional impact which this crime has on individuals, their families and the convictions given to those responsible. “To help protect yourself this summer whether you are home or planning a trip away please read our crime prevention advice. “Register your belongings on the Immobilise national property register. It’s free and takes just a few minutes and if your valuables are stolen it will allow you to tell the police, your insurer and secondhand traders to assist in recovering your property and catch the thief. “You can also be kept up to date by joining Sussex Police’s Community Message service, In the Know which will keep you up to date on the latest news in your police district. Find out how to join here.